The apple’s journey to America was parallel to man’s. The boat landed and the exploration began: in this vast new land the choices for thriving were endless. Some were happy to live on the coast where they landed, spreading out and staying diverse. Others were content to live amongst a few or be a solo tree in a town square. A few made it halfway across the land and settled in. The fearless joined the westward migration on horses and wagons, traveling thousands of miles looking for the perfect dirt, long sunny days and ample water. When it reached the land that would be called Washington, the apple knew. It was home at the end of a Rambling Route. 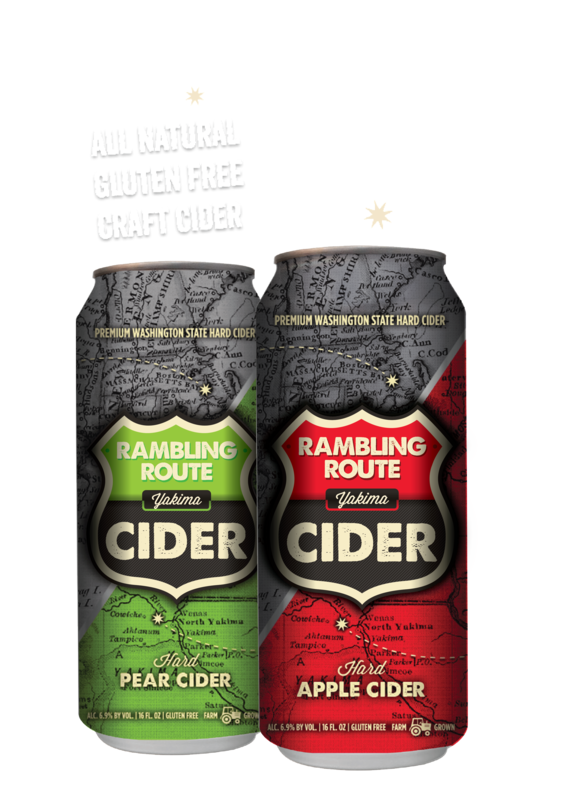 Rambling Route is part of the Tieton Cider Works family of hard apple cider products.